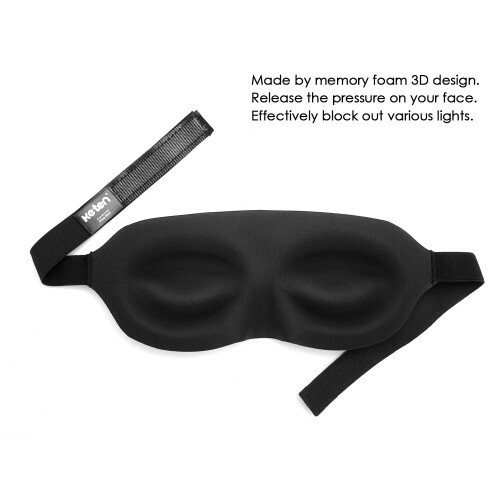 Keten 3D Eye Mask Sleep Blindfold for Sleeping Travel Contoured Design with 2 Sets of Earplugs and 1 Carry Pouch . 1.Features memory foam, soft and comfortable, smooth against your skin. 2.3D design can effectively block out various lights ranging from sunshine to electronic devices. 3.Long adjustable Velcro strap suitable for most people. 4.Lightweight, portable, ideal for traveling. 5.Includes one black 3D eye mask, 2 sets of earplugs, 1 black carry pouch. 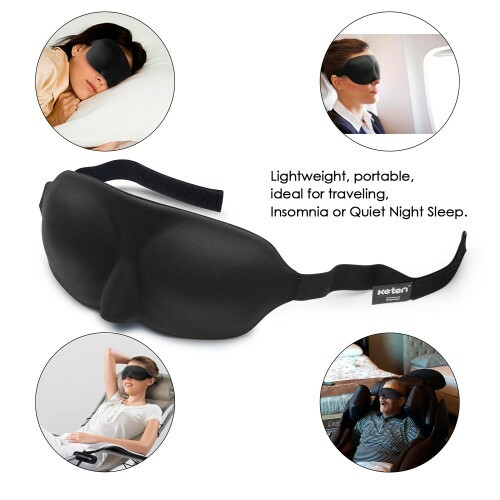 An uninterrupted, restful sleep or an afternoon nap can enhance work efficiency in your daily life, and a comfortable sleep mask can help you achieve that! 1. 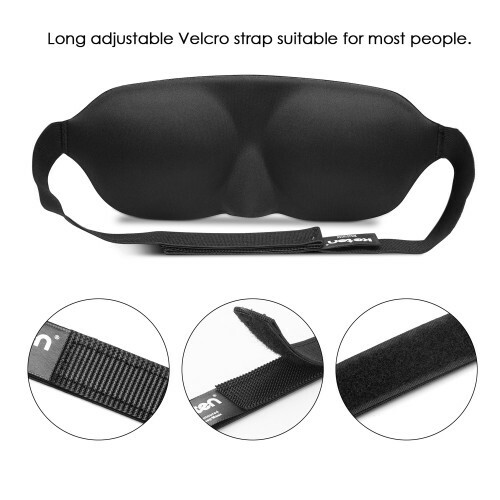 The most distinction from other blinders: made by memory foam, also called slow recovery sponge, which can release the pressure on your face and make you feel a lot more comfortable. 2. 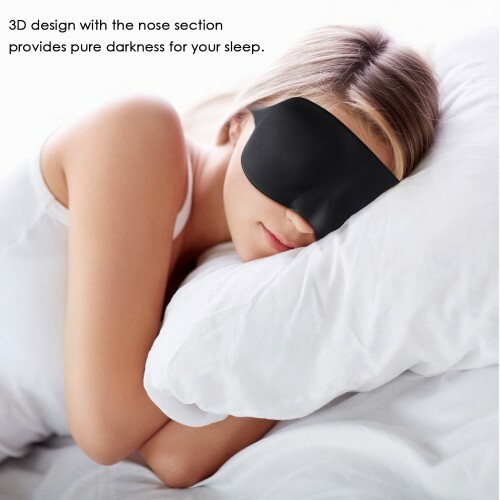 3D design with the nose section, ensures that the least amount of light can get through, and provides pure darkness for your sleep. Especially great for shift work and meditation. 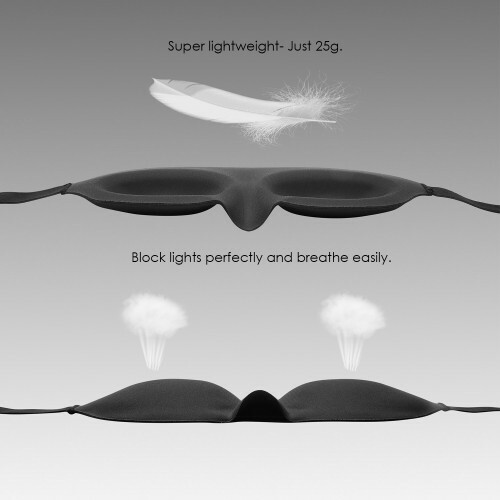 With the earplugs, it can help create a tranquil environment. 3. Lightweight makes it absolutely portable and travel-friendly, making it your best companion whether at home, on the plane or a bus. 4. 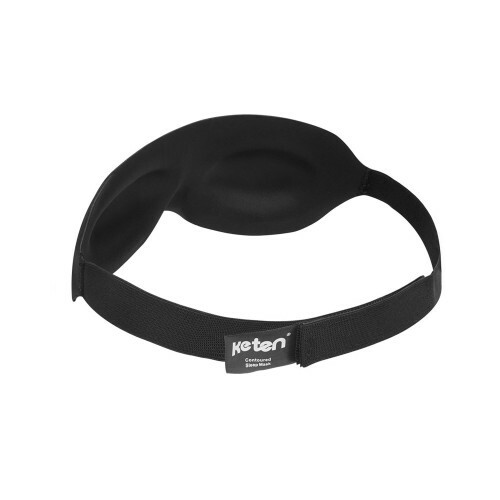 Easy-to-adjust Velcro strap in the back can be loosened, tightened and adjusted perfectly to your face.